What is the connection between a digital watch, a GPS in a car, a microwave oven in a kitchen, and an epinephrine auto-injector for allergic reactions? Hint: It is the same as the link between radar, night vision goggles and the Internet. They are all technological developments from scientific research for military purposes. Military-related scientific research has led to countless technological developments. And it goes back a long time! In Canada, the Defence Research Board (DRB) was created in 1947; its mandate concerned military research in areas of Canadian expertise such as the Arctic, ballistics and biochemical warfare. 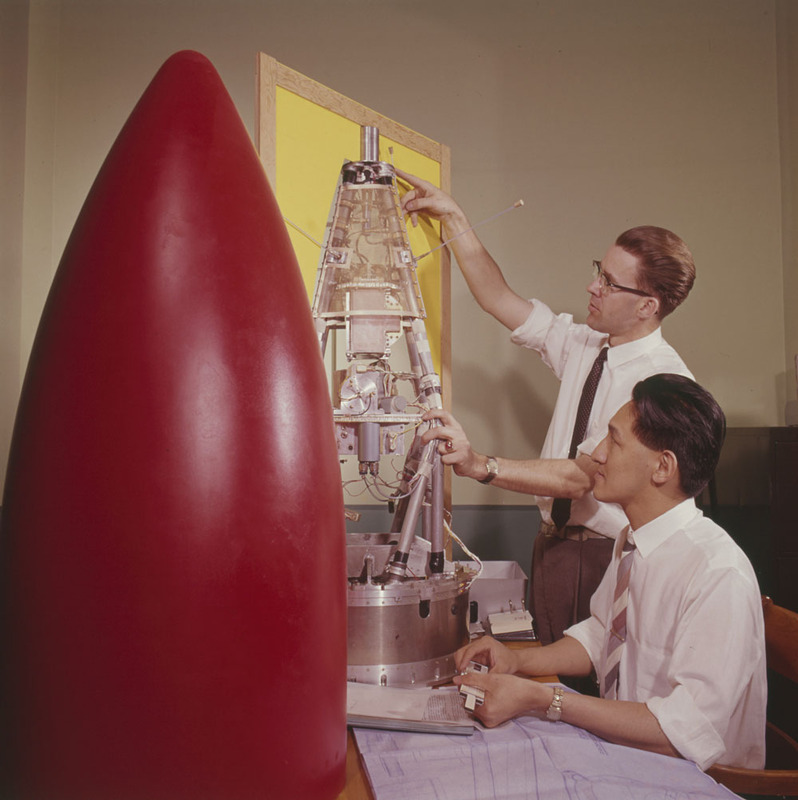 Over the years, the DRB developed Canada’s first (and only) air-to-air missile, called the Velvet Glove. The DRB was also directly involved in the development of the Distant Early Warning (DEW) Line, an extensive network of radar stations to detect enemies in Canadian airspace. At the height of the Cold War, the detection of enemies was also needed in the oceans. Submarines posed a real threat there, especially when they became armed with nuclear warheads. Accordingly, DRB scientists started working on a type of boat designed specifically to hunt enemy submarines. What they developed was a hydrofoil. Hydrofoil technology dates back to the early 1900s. The famous inventor Alexander Graham Bell even made prototypes of them, which he tested on Bras d’Or Lake in Nova Scotia. Wing-like structures called “foils” are mounted under a vessel and lift it out of the water as the speed increases. As a result, water friction on the hull is reduced, and the vessel can reach impressive speeds. 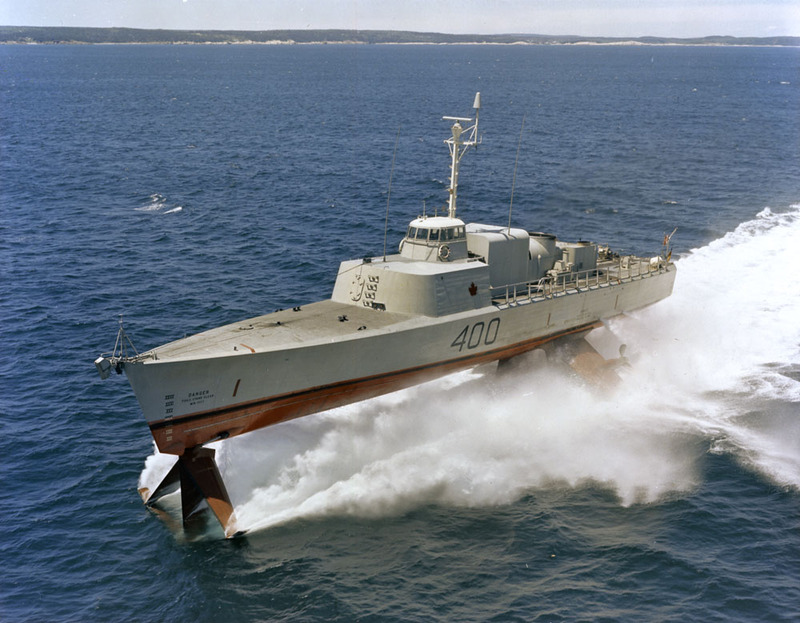 In the 1960s, Marine Industries Limited in Sorel, Quebec, started building a hydrofoil for the Royal Canadian Navy. The hull was made of aluminum, the foils of steel. This special boat had features and technologies from both aeronautics and nautical science, so the captain had to be both an aircraft pilot and a naval captain. The new vessel was commissioned into the Royal Canadian Navy on July 12, 1968, as HMCS Bras d’Or. Sea trials began off Halifax in April 1969. During the trials, the vessel reached an impressive speed of 63 knots (117 km/h), a record speed for a warship at the time. HMCS Bras d’Or saw service for a short time only. On November 2, 1971, the Government of Canada ended the hydrofoil program. Canada’s priority shifted from anti-submarine warfare to the protection of sovereignty. The Bras d’Or was donated to the Musée maritime du Québec in L’Islet-sur-Mer, where it remains on display. Marcelle Cinq-Mars is a senior military archivist. This entry was posted in Exhibitions, Military Heritage and tagged Cold War, HMCS Bras d’Or, hydrofoil, National Defence, Premiere series, Royal Canadian Navy by Library and Archives Canada Blog. Bookmark the permalink. That’s neat, I had no idea.